We gladly accept: Cash, Checks, Mastercard, Visa and Discover. Apply online through the program website, by phone, or on the mobile application. 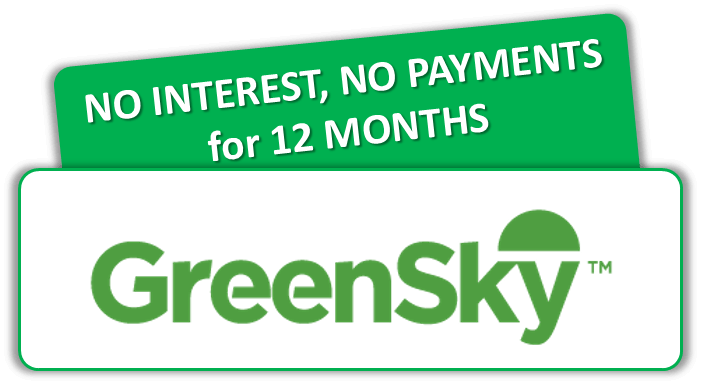 Credit decisions can be delivered in seconds; approved customers receive a GreenSky®account number and loan agreement from lender.